All pastors in the 13-county diocese were asked to read the letter at Mass the weekend of August 11-12. The goal was pastoral: To help prepare Catholics for this week’s expected release of Pennsylvania’s 40th Statewide Grand Jury Report regarding sexual abuse that has occurred over the last 70 years in six of eight dioceses of the commonwealth. 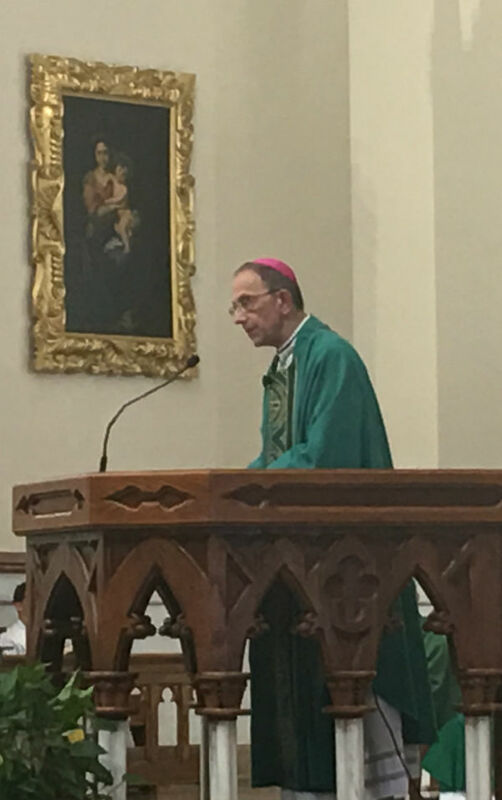 Bishop Persico, who has been moved by the support he’s received from people grateful for the transparency he has embraced, read the letter to the people at St. Paul Parish in Erie on Sunday, because he was participating in their weekend festival. They responded with applause. Father John Detisch, pastor of St. Jude Parish in Erie, read the letter and followed it with a homily that also has been well-received. Bishop Persico’s letter is available at https://www.eriercd.org/Bishop-Persicos-statements.html . A video of the Father Detisch reading the letter and offering his homily is available at https://www.youtube.com/watch?v=LYbYcy4hrfI&t=40s.